Landmark offers top quality hardwood flooring in solid or engineered woods, with finishes and colors to enhance any décor. Today’s hardwood manufacturers are creating highly durable, beautiful woods in species such as white or red oak, maple, cherry, walnut and bamboo, as well as the exotic woods. Somerset, and Mohawk are just a few of the brands we offer that put quality, beauty and easy maintenance at the forefront to make your hardwood flooring selection a solid and comfortable choice. From porcelain to ceramic, natural stone to designer glass, Landmark Design Gallery has them all. From Florida Tile, Crossville, Adena and Mohawk, as well as beautiful imported tiles from Italy, we offer a vast selection to suit your particular style and need. 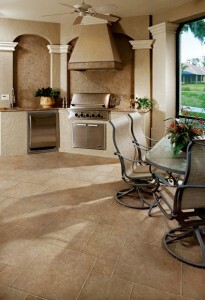 A variety of sizes, special order tiles, and specialty accents make creating your masterpiece a breeze. From backsplashes to showers to floors and walls, we will provide custom designs to meet your needs, as well as quality installations to see it through to the final, beautiful finish. A flooring choice that has proven over time to be both durable and beautiful, our laminates are top of the line. Famous makers like Armstrong and Columbia, to name a few, provide a wide array of colors and styles to choose from, from the natural look of tile to the warm appearance of hardwood. Maintaining laminate is a breeze, and today’s laminates offer the stain-resistant, impact-resistant durability customers are looking for in their busy lives. 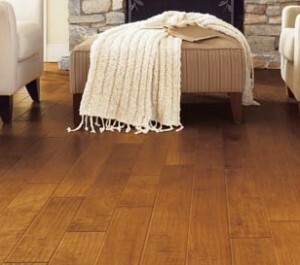 Vinyl is an economical and maintenance-free alternative when selecting quality flooring. With no grout lines to clean or seal and low-cost installation, vinyl offers that timeless look and easy upkeep at a fraction of the cost of tile and hardwood. Cork is a renewable resource and a natural choice, offering durability, water resistance and a warm, welcoming beauty to your home with little impact to the environment. We have many other flooring options available, and we’ll be happy to find the exact floor to meet your needs.